Capturing your audience’s attention and getting them into your list has been the number tactics to a business’s marketing plan. Why? If there is no list, there is no business. On today’s episode, we will be reviewing a book we read that I believe every business owner should have on their shelf, listen to why on our podcast. Rachel: That is a great book. I decided to pick this book because I feel that our audience can learn a lot from what we read. I mean these are things that I believe as a marketer we all kind of know, but I believe that it just coupled everything together. It took all these ideas and just put it in one episode. I thought this was a great book. Guys, if anything, when you go to our website, please click the link and go to Amazon and purchase this book. We have it on our Rachel Calderon.com website. So the two main necessary ingredients to persuade a customer behavior is frequency and attitude change. So the more often we use a product, the more habit forming it is. Behavior tends to change with sufficient frequency. So I wanted to talk about why habits matter. Kathryn: Well, before we get into that, let me just say that a habit is formed after 21 times of doing something. So if you get your customers to do something 21 times, they’re hooked. So then doing things 21 more times is easy. So to answer your question why habits matter? Habits increase customer lifetime, which is customer longevity, two is habits give you greater pricing flexibility, which is the more they use it, the less likely they’ll notice price increases, which is important because you don’t want them to notice those price increases to the point where they back out. Three is habits achieve vial growth. The truth of the matter is, Rachel, is that people will tell people word of mouth is by far your biggest marketing tool. Rachel : Absolutely. And the thing is, I want to give you an example of a habit-forming customer longevity, price increase, word of mouth type of product. And I know everyone knows apple, so Apple started like in 2001 as an MP. Three where you were able to store 1000 songs. And then that evolved into a better iPod display with videos to accommodate more like the fitness industry. And that I think was all the rage till about 2006. Then 2007. They released the iPhone. I remember having two items. I had the iPod, and then I had the flip phone at that time or I think it was the blackberry around that time. That was like all the rage. So I was always walking around with two things. So when they came with the iPhone, the Apple iPhone, I was like, oh my gosh, this is fantastic. So I was able to combine these two things that I was already hooked on. Literally and I could not live without. I was able then to transition over to the Apple iPhone, which then now I can’t live without at all. Since then, since 2007, they’ve improved, and you no longer have to have it on the phone, the music because you have iTunes. And then it kind of has evolved from there. I mean you could still put it on your phone, but it doesn’t have, you don’t have to have storage space because they’ve made so many different accommodations and conveniences for the clients. So I thought that that was phenomenal. So they make these cell phones and now I know that if I walk away from my phone, and I leave it at home. I feel like completely at a loss. I can’t remember anyone’s name, I have no music in the car because my iPhone controls everything even including my emails. So if you create something that they can access with ease, very soon they become hooked. Kathryn: That’s very true. And now it’s a must-have habit and customers will pay anything for it because now it’s a need that has gone viral and it’s like you just said you need your cell phone. People always have their cell phones in hand. I have my cell phone in hand right now. Kathryn: And if you notice the price increases pretty much each time a new product comes out, but people are willing to pay. Kathryn: Because we want that like those few new things that they added. Rachel: Exactly. So that’s why I was so totally hooked on this book. 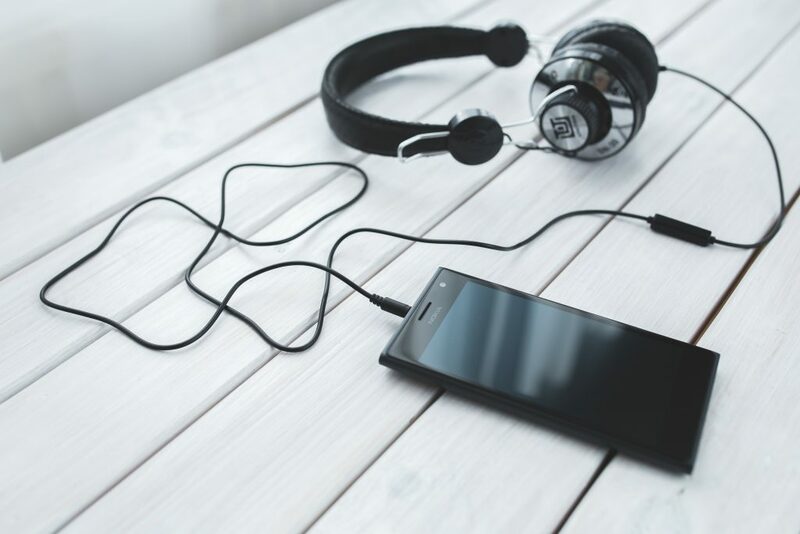 I was reading it Guys; this is another thing is that I lately have been turned onto the whole audio and audible, so this is where I’ve gone to Amazon, and I’ve transitioned. Instead of reading a traditional book, which I don’t like to read, but I’ve transitioned over. I know you love to read. I know you love to flip through the books. I know you are. I know you are, but at least I’m still learning. You see I’m more of an auditory learner, so therefore this has gotten me. And the thing is that I’m learning, and I just thought this book was phenomenal. So here are the four forms of Hook habits. Kathryn: You got trigger, action, reward, and investment. Rachel: We’re going to go into these four habits one by one. So Kat, would you like to start with triggers? Kathryn: Triggers are both external and internal. External are emails that are engaging content and not spammy, but of value and internal is a place you take a consumer emotionally that causes them to take action. Rachel: I love the two because you know what? Email is an external thing and the thing is that if you give them something that, pulls them in, I always use that word pull, but I’m going to start using that word hooked that hooks them or baits them. I think that that is really how you want them because what happens is that at that point it’s almost like a point of no return because they’re certain to raise their hand and go straight to the shopping cart. Kathryn: That’s so true because the reason, I give blood every year and I get an email that catches my eye, like, if you give blood between such and such a date, you get a free shirt. I’m giving blood next week, and I get a free shirt and the possibility of an Amazon gift card. So that right there is something that they used to hook us. Catch our eyes to say, let me not accidentally just delete this email. I can get a free shirt. Rachel: And emotionally you feel like you’re doing a good deed by giving away your blood to someone in need. So you see guys that is what we were talking about. And the funny part is that we were talking about this in the previous episode 5 about… Are You Capturing Leads? So I think that this is a great tool and I love just, the way he has it so simply put. The external meets the internal and Bam, you have a customer. Kathryn: But you got to remember when building a product you should base it on consumers need and you must hit the external triggers first. Before the internal. Rachel: Trying to bring the external and the internal triggers closer together. You can have a higher conversion rate always. Kathryn: Exactly. Rachel why don’t you tell us a little bit about action and how you can make the action easy. Rachel: Okay. So your actions should always offer an easy relief and produce a quick result. Why is that? You don’t want the consumer to have difficulties or take their time on making the decision, you want them to click through the process, scroll through the process or put in their email as quickly as possible. So what you want to do is you want to make sure that the action you want from them will save them time, money, little physical effort, and easy to comprehend. Social proof tends to hook others into taking that action and the more people use it, the more likely they will continue to use it. So again, we go back to the iPhone and the iPod and everything. See the reason why Apple is so popular because the phones connect with the Apple laptops and or, any of their devices. So that’s why it’s just made life easier. And when things are made easy, we tend to just kinda keep purchasing products from them. So guys, remember when creating a product make it an easy customer experience and remove any obstacles. Removing obstacles is key to the consumer. Again, the point is to make the hook and then we have rewards. Kat, would you like to get into that a little bit? Kathryn: The reward phase is a way you manufactured desire by causing the consumer to engage in focus with you, so you’re going to ask your audience a question, then you’re gonna move forward. And you’re going to take a long pause now. That ignites the consumer to become curious and focus and it creates anticipation just like I did just now. I’m sure our listeners were wondering what was about to happen. Rachel: And it’s true when he was talking about this in the book, that’s exactly what he did. And it’s funny because I’m here because I write my scripts and I look at notes and things like that, but I’m like my eyes kind of got up and looked up at you to say what is she going to say next? So it does, it has a tendency to pull you in. And I’m sure when you see like magicians. You see them onstage, they don’t do everything quickly that they’re there. Sometimes they just mesmerize you with their hands and they do all this hand movement and you’re like trying not to miss or skip a beat it like, okay, when exactly that bird gonna come out of the hat. Kathryn: Exactly. They did it because they’re so slow with it. They’re creating this illusion and you’re like, I’m not blinking. I will not miss how they did this. And then you’re like, how did they do that? Kathryn: So ask a question. Say a story that resonates and create a little mystery. Don’t give it all away at once. Rachel: Guys, I’m telling you these little, things that we’re telling you. I mean certainly go get the book right, jot down some notes, take notes while you’re listening. Exactly. So you see, the thing is that when you are ready to create a product, you make sure that from the moment that product gets laid out in front of that customer, you have them at hello. Kathryn: Exactly. How do we get people to check out in the shopping cart? Figuratively, literally, spiritually, mentally, everything. How do we get them to invest? Rachel: That is an awesome question. So in today’s world, we need to accept the fact that it’s not that cut and dry. Okay. And monetizing comes through engagement Nir talks about four ways that you can invest. Okay? Now, these don’t necessarily have to happen simultaneously. But you know, it’s good if you can. Kathryn: Yes. And I love them because it’s what we as business owners want your chances of residual income and longevity of a consumer is greater by getting the consumer to invest all the way and you can hook them into the phase of your products such as upsells. Rachel: Yes. And that’s the thing is you want to have a consumer that continues, again, we go back to apple I have to use Apple products or, the iPhones, you see, they continue to hook us into the cycle. So what do we do every year that the next phone, I think three phones came, or two phones came out this year. This past year. Okay. The eight and the 10. Rachel: I know and it was weird because I’m like, but they skipped, my thing because of my OCD, I was like, they skipped 9 I’m like, what happened with number nine? And I had just gotten the seven, so I’m like, I’m lost. Oh, you got a lot to go. They’re costly though. But you know, for me, I see the necessity of having the latest and the greatest. So. Kathryn: So there are actually four ways that you can get consumers to invest. You’ve got loading the next trigger, storing value, followers and reputation. Loading the next trigger now begins CRM building, that’s through email, text, social media, social sites, which is now another external hook by asking the questions and it prompts them to take another action. So I’m going to go back to our capturing leads episodes where we talked about DSW and Color, Pop and CRM. And so their CRM is designed to tag you, the consumer based on your likes and dislikes, and you as a product developer will then respond to the consumer’s needs, likes, and desires. 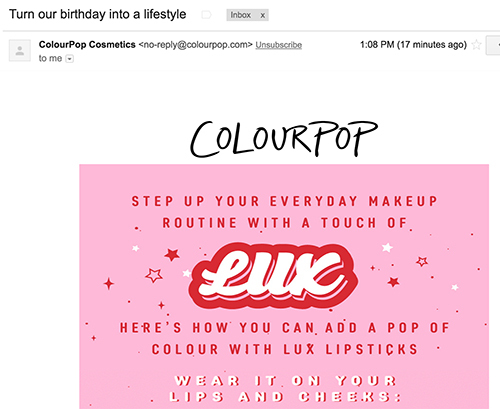 So that’s like for me, I get a lot of emails from Colour Pop based off of the things I’ve purchased, which has been eyeshadows, highlighters, and lipsticks. They don’t send me sprays or their nail polishes because they know I don’t purchase those. So they know clearly that’s not what she’s into. So we’re working to send her the links and the special offers that had to do with those more because that is where we’re going to get her to purchase. Rachel: Right. And it’s funny that you say that because today I actually received a color pop. I like the lipstick and the color cheek. Why? For me, it’s one item, and I use it in two different areas which I love. And I’ve been getting those kinds of emails lately. So of course, because that’s right up my alley. Um, I’ve been trying to figure out whom, what color do I want now? I mean some of the colors are not colors that I would be interested in, but it’s just really starting… Yeah, it’s having me think like, okay, so the next time I’m ready to purchase, I think I’m going to go to Colour Pop. And I’ve never purchased in color pop, which is what’s crazy because I don’t know how they got. Well, I do know because it’s called retargeting marketing, but we’re not talking about that here. So this is the thing about CRMs, when they tag you, they start learning our behaviors, and then they begin to hook us into these cycles. Which is beautiful. Kathryn: FYI guys. You can also do this via direct mail. I get a lot of baby stuff in the mail sent to me so I’m guessing they just know my age because I’m not married and I’m not pregnant, but I get a lot of baby stuff that I think is directed at me because they know my age and they know my age she could possibly be. Rachel: Not that I agree with that, but you know, they kind of go demographically. They go like to through the senses of this is, usually the age where people have kids. So now the second thing is storing value. Okay. And it’s a habit-forming product that will gain value. iPhones. The more you use it, the more you can’t live without it, as I stated earlier. And, and also another platform that I use is Google. I use a lot of the Google products. I need their Gmail, I use their calendar, I use their forms, I use a lot because they’re easy to share with the team. So for me it’s easy, it’s a drag and drop and you have it within a few seconds. So these platforms can be free in the beginning, but the way they hook you and the way they get you to, pay without even thinking about it because now it becomes a necessity. Kathryn: Yeah because it’s also the value in it because I value Google a lot. Anytime I’m on a new computer and they’re like, oh, do you want bing or Yahoo? I’m like, get this outta here. Google all the way. Google if you want to sponsor me. Rachel: Exactly. You see, and that’s the thing is that they, they make it easy to the moment. Google is free up to a certain amount of storage but as of late because I get so I have so much information there that we share and we need it that lately. I’ve had to pay the same thing with the cloud, the apple iCloud. I pay for that without even thinking about it prior to that I don’t think I would never pay for it. But now it’s like, oh yeah like $10.99 a month. Sure, no problem. Kathryn: Yeah, whatever I love you google I’ll pay whatever. So the third and fourth one, are followers and reputation for followers, the more followers you have on a platform coupled with engagement and valued content, the greater you are to invest in that platform. Rachel: Now I’m gonna give you an example when it comes to Facebook, a lot of people are doing facebook ads. Why? Because they have a huge following on facebook and also LinkedIn is another one that people are starting to pay for advertisement and they pay for the premium package. Why? Because you are able to have a lot of content there is a lot of engagement there that you value that. So once if you have to pay for the platform because it’s that valuable to you, you will pay for it without skipping a beat. See how they hooked us. Kathryn: But that’s because they have good reputation. And reputation is king and it can dictate what you will charge based on your reputation. If you have good reputation and you’ve got the word of mouth to back it up, you can charge. You have terrible reputation and nobody’s coming to you. There’s a reason for it. Rachel: Exactly. So guys, take a moment and even if you go on audible, we will have this on our website. 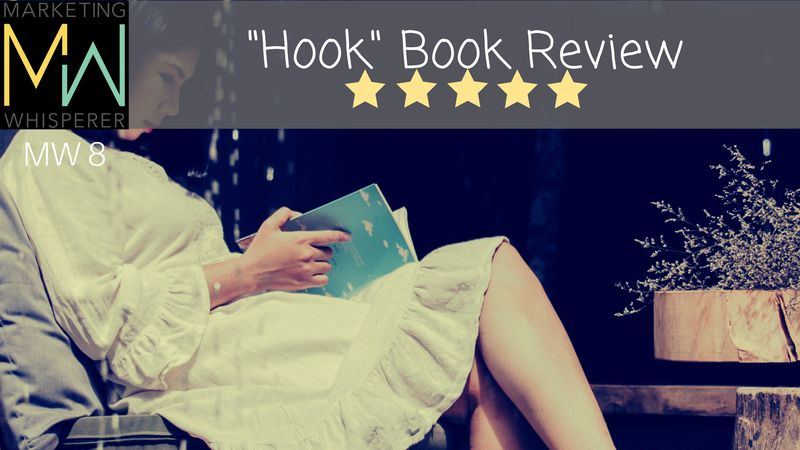 We do have a link for you guys to get Hooked the book by Nir Eyal. Hope you guys enjoyed this episode as much as we did. We really had a great time reading the book and sharing with you guys this book. Kathryn: I want to mention that the link that will be for the book is an affiliate link. It’s no extra purchase for you. It just helps us to do what we love to do, and continue putting out content for you guys. So if you’re able to buy the book using that link. Thank you so much, is much appreciated and we love you guys. Bye. Bye.